This week: get insight into Jim Henson’s Muppet universe, see photos of the early days of hip-hop, enjoy the animal antics of graphic novelist Lisa Hanawalt, explore the hidden pleasures of Western Avenue, and learn about designing safer schools. It’s been suggested – but not confirmed – that Jim Henson (1936-1990) invented the word ‘muppet’ as a combination of the words marionette and puppetry to differentiate his characters and distinguish his act from those of other puppeteers. Whatever the origin story for the name, Jim Henson’s ground breaking Muppets revolutionized the art form and brought us household stars like Kermit the Frog, Miss Piggy and Bert & Ernie – and of course a little television show called Sesame Street and the Muppet Movie franchise. Brian Henson (Chairman of The Jim Henson Company), an award-winning director, producer, and puppeteer, and son of Jim Henson, will give an inside view of the history, and future, of the unique Henson technique and style of puppetry at the Skirball on Tuesday. Henson will share personal stories, show examples of the company’s work throughout the years, and give a live puppetry demonstration. Perhaps he will even confirm for the audience how the word ‘muppet’ came to be. Arrive early to view the exhibition! The Jim Henson Exhibition: Imagination Unlimited will be FREE and open to ticket holders from 6 p.m. until the program begins. The exhibition runs through Sept 2. Tickets: General Admission $15, members and full-time students $10. Advance tickets are sold out, however a limited number of tickets will be sold at the door on the night of the event as space permits. Check-in opens at 6 p.m. More information here. With her love of foodie subculture, anthropomorphism and questioning cultural boundaries, award-winning humorist writer and graphic artist Lisa Hanawalt’s work is delightfully absurd. Her lampooning and subversive social commentary are on full display as the fiercely independent yet dramatic Coyote Doggirl and her trusted steed Red try to tame the Wild West. Known for her work on the Netflix series BoJack Horseman, her James Beard Award-winning food column and previous award-winning graphic novels, Hanawalt’s work has appeared on best-of-the-year lists from The Washington Post, The Guardian, NPR, and elsewhere. 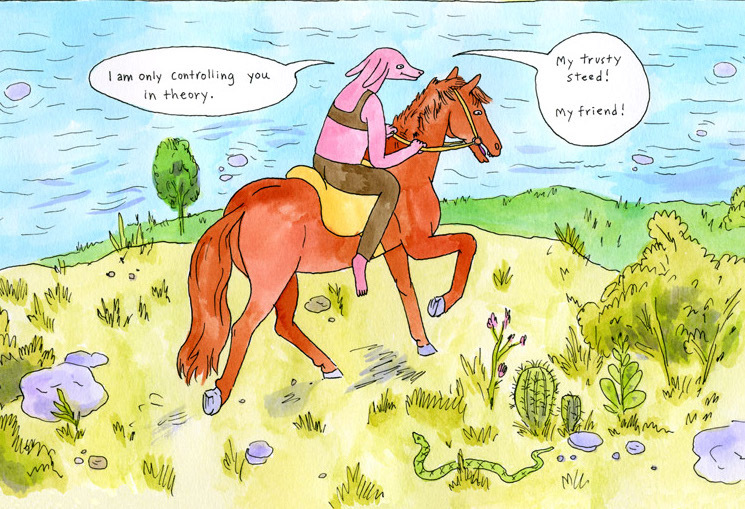 Hanawalt will discuss Coyote Doggirl with Los Angeles writer Molly Lambert. 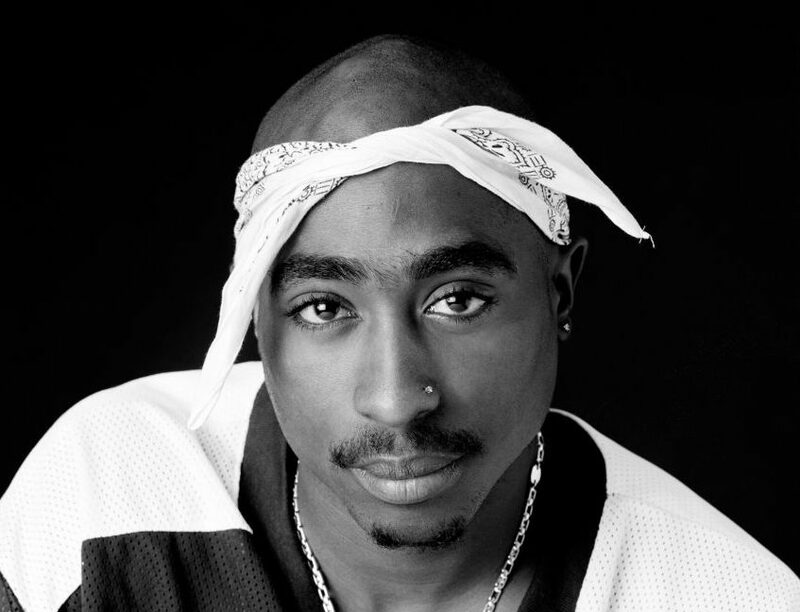 From the earliest days of hip-hop, photographer Chi Modu captured the raw, creative energy of its most noted artists. UNCATEGORIZED features hip-hop royalty including Tupac, Biggie, Nas and ODB, as well as previously unseen images from Modu’s long career. By documenting the legends behind the movement, the exhibition (presented with support from Adidas Originals) reveals the unbridled talent, desire and ambition in its prime. The title of the show, Modu says, represents his desire “to create something that is the opposite of putting labels on everything and make a statement against stereotyping.” You can read more about Chi Modu and his work here. Everyone benefits when communities thrive, and Welcome to Western celebrates the local neighborhood and shopping district along Western Avenue. Enjoy free music and dance performances from diverse local artists, connect with your creativity by helping to paint a new public mural over a graffiti wall that was removed in 2014, get to know local businesses through an urban scavenger hunt, and celebrate the installation of unique pedestrian amenities on Western Avenue. Community members organized the event with support from Los Angeles Mayor Eric Garcetti, Councilmembers David Ryu and Herb Wesson, Koreatown Youth and Community Center, and a grant from the LA Department of Cultural Affairs. Learn more about the shops on Western Ave and the community initiatives here. The debate over school shootings in America has largely focused on gun control. But in the absence of substantive legislative action, designers are also talking about creating safer schools. Not only to minimize the impact of a live shooter (i.e. adding walls and barriers), but also preventative measures such as spaces that connect students and counter alienation. 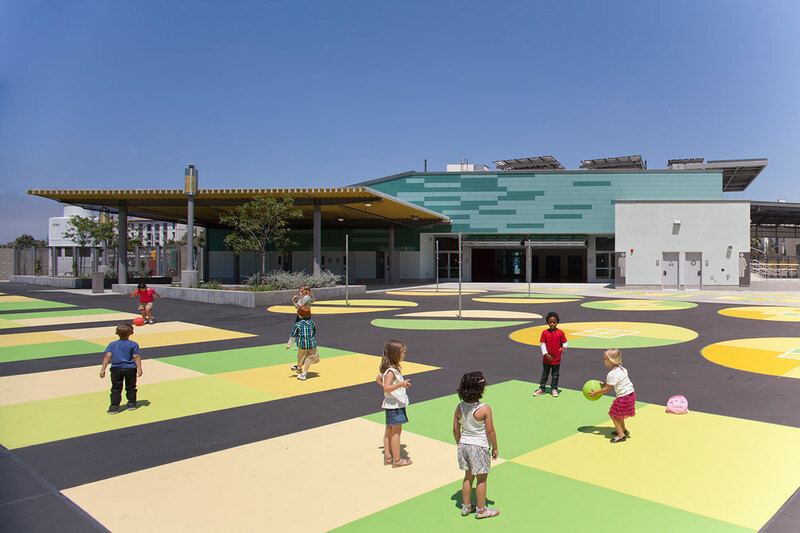 Architect Michael T. Pinto of NAC Architecture will lead a panel discussion on how learning environments can be made safer but still be welcoming environments for learning. The panel includes educational designers, a school administrator, a labor organizer and a social worker, and is geared toward a general audience. Tickets: Free. RSVP and get more information here. And, catch it before it closes this weekend. . . SCI-Arc’s latest installation, Environment[al], speaks volumes without words, about oil, water and concrete in LA’s unnatural landscape. Click here for information and story.